The octane rating is high this week. 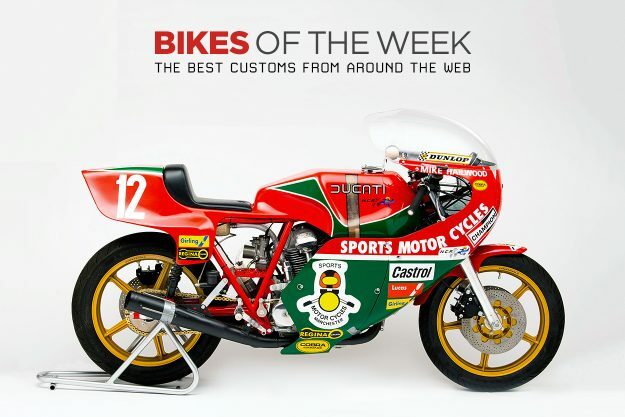 We’ve got a $144,000 Mike Hailwood replica Ducati, a Royal Enfield 650 breaking world records on the salt flats, a Honda CB1000R sprint bike and a race-winning Ducati Scrambler tracker. Buckle up tight. 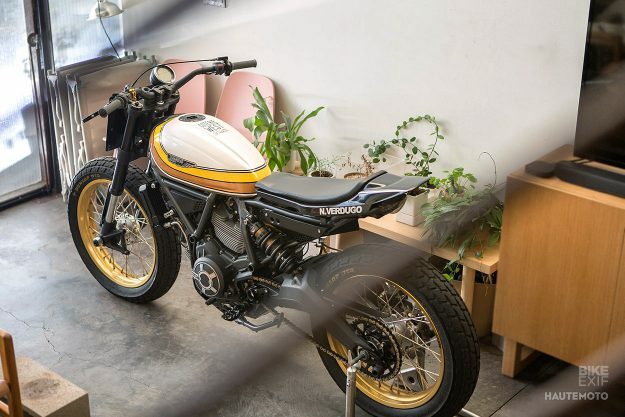 Ducati Scrambler Hooligan racer One of the greatest features of the Ducati Scrambler is its receptivity to customization. 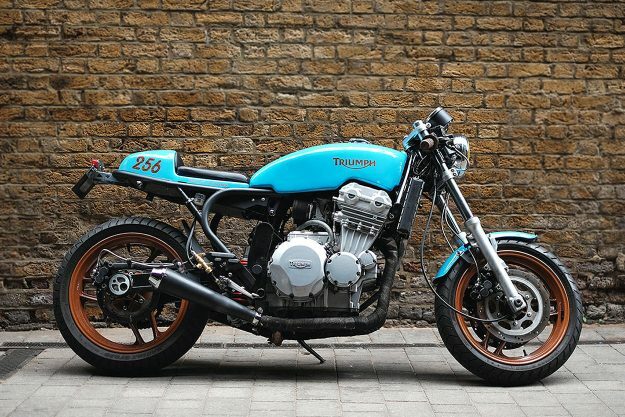 Everything from mild to wild treatments work on that bike, regardless of the style. 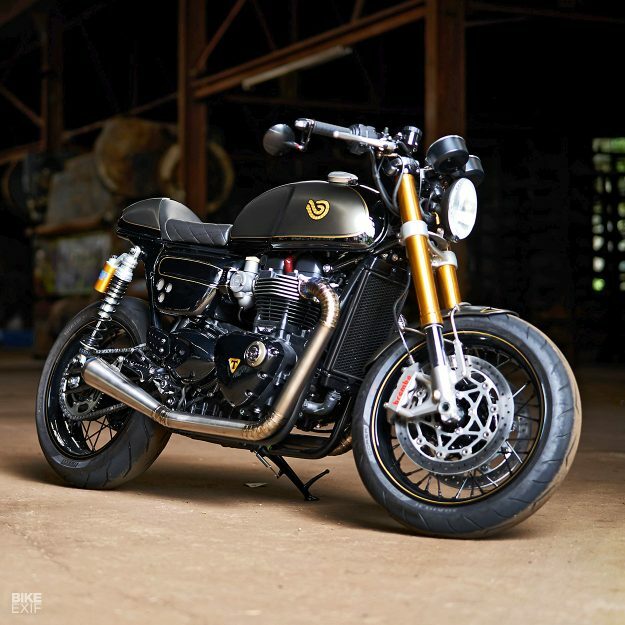 Recently, Coterie West got their hands on a Mach 2.0 Scrambler and even though the modifications are relatively minor, they’ve built a stunner of a hooligan racer. 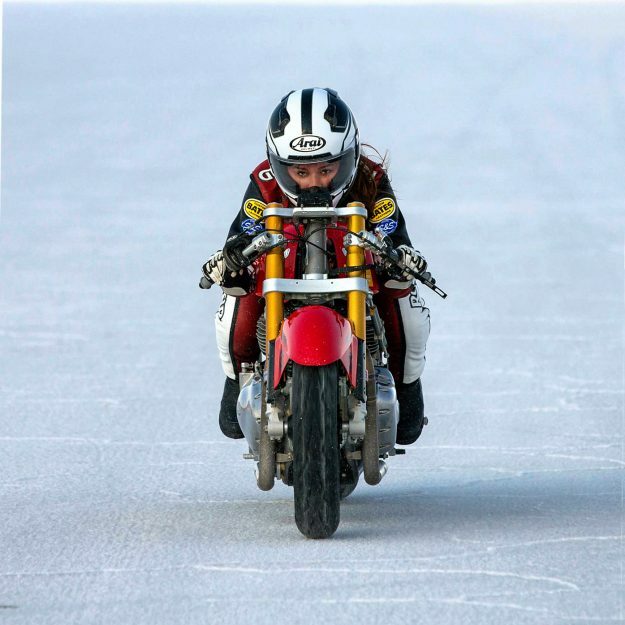 The bike was was prepped it for slideways action at this year’s Motobay Classic Super Hooligan race. So the Duc’s 17-inch wheels were swapped over for a set of matched 19-inch Sun rims, running on the requisite Dunlop DT3 rubber. You’ll notice that the front brake is gone, so the rear compensates—it’s been treated to an upgrade from Galfer. The rear suspension has also been beefed up, courtesy of an adjustable unit from Fox. An SC-Project exhaust has been fitted up. 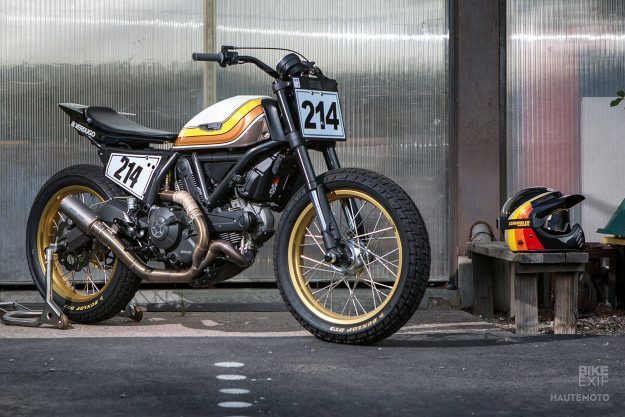 Cosmetically this Scrambler has ditched its curvy subframe in favor of a new, flattened unit. It’s been topped with Kevin Lambert fiberglass, and the headlight has been binned to make room for the number plate. 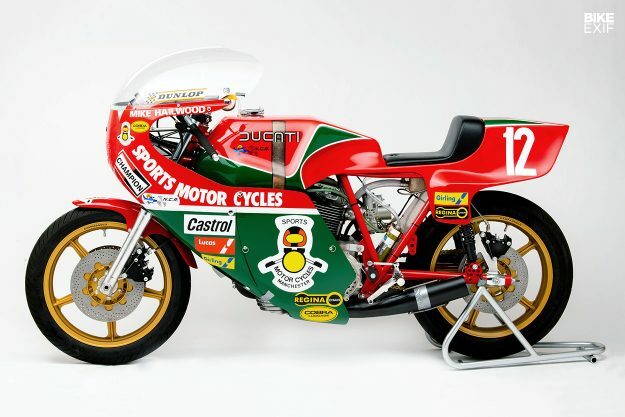 Mike Hailwood replica Ducati by Vee Two USA When Mike Hailwood piloted his way to victory at the Isle of Man TT in 1978, after an 11-year sabbatical, he cemented his status as an icon of the sport. The Ducati 900 he rode has become something special too, with several replicas and tributes built afterwards. But none are as incredible or exacting as this recreation, courtesy of Vee Two USA. Working from a set of original casting drawings, the engine powering this bike is essentially the same as the unique bevel drive that Mike “The Bike” had for his Manx win. Of course, this being a modern day creation, Brook Henry took some liberties when it came to materials. Those casings and many of the parts bolted up are milled from chunks of Aerospace aluminum. Thumping away inside, the pistons are forged units from Pistal Racing in Italy—and spun by a plain bearing crank to increase reliability. All of the bodywork, including the one-piece seat-tank unit, comes courtesy of Paul Taylor. And he ditched his usual material of choice, carbon fiber, for fiberglass and polyester resin. This was again done for authenticity, as was the painstaking process of recreating the livery. 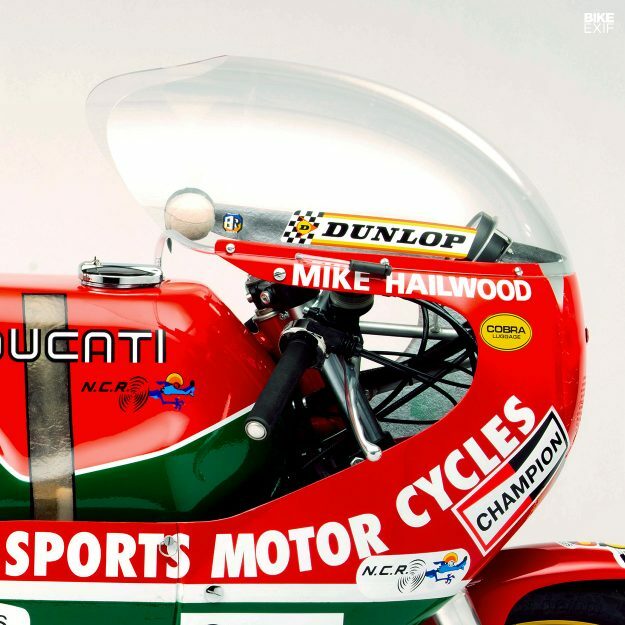 Things are so exacting that each bike even comes with the cut tennis ball that Hailwood used to house his visor wipe. Matt’s Triumph Trophy cafe racerIf you look closely under the seat of this Triumph Trophy, you’ll read the words “Built by a Spanner.” The owner and builder of this bike, Matt, doesn’t really consider himself a mechanic—but he did spend much of his youth handing spanners to his dad, who often wrenched on his Ariel 250 race bike. With a bit of self-doubt to overcome and some general hesitations, the project took Matt about three years. 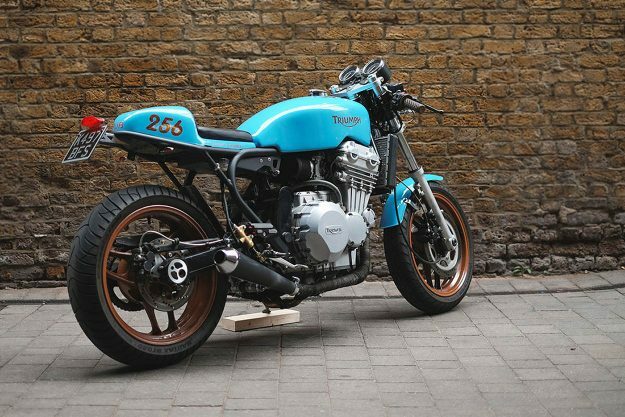 Cafe Racer Kits UK supplied the new subframe and tail unit, but chopping up the old perch wasn’t an easy affair. Matt hemmed and hawed and measured more times than most would admit, but eventually powered up the grinder and got things just right. Soon after, the engine was treated to a rebuild and everything was powder coated. 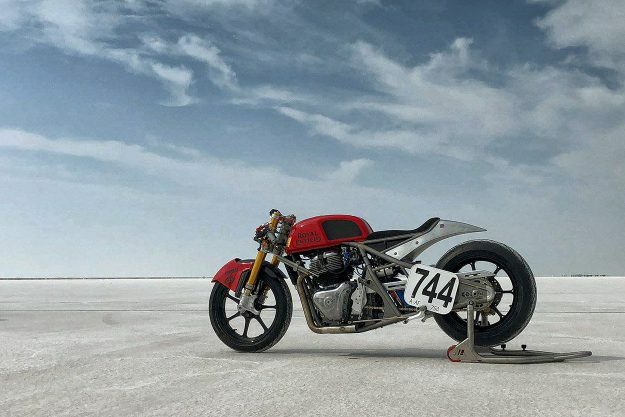 Royal Enfield 650 twin Bonneville Salt Flats racer With plans for a global launch of their new 650 Twins slated for later this month, Royal Enfield decided to drum up some extra anticipation by having one prepped for a run at Bonneville in October. Currently word is mum on exactly what’s going on here but we do know the new 650cc twin sits in a hard-tailed, custom frame. 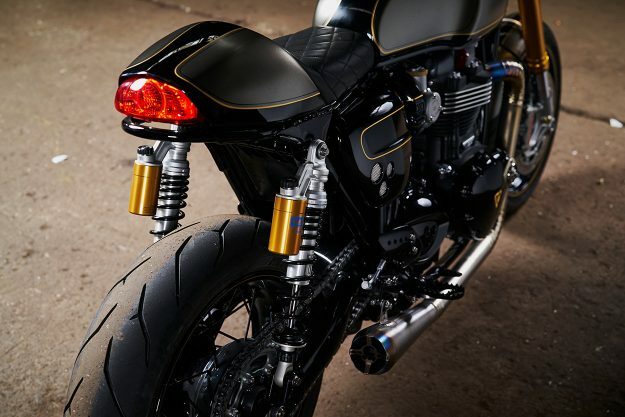 In fact, if you look closely most of us at the offices here would wager this bike is actually a re-working of LockStock, the custom-commissioned, Continental GT based drag bike we saw back in June. Everything from the Öhlins suspenders to that lovely blue bottle of giggle-gas seems present and accounted for. That means the over-bored, S&S aided twin should be good for a similar 100hp out there on the salt. 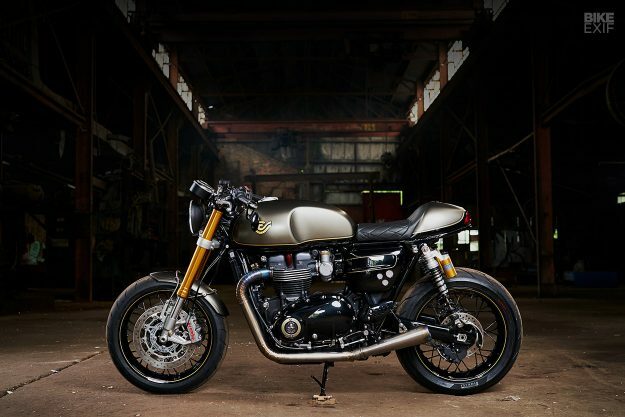 Triumph Thruxton cafe racer by Fuller Moto The Triumph Thruxton R is an incredible combination of aesthetics and engineering, right out of the crate. Hinckley really did a fantastic job on that bike. But that doesn’t mean a few subtle tweaks can’t make it better. And when the man behind those tweaks is Bryan Fuller, you know it will be special. The stock subframe was treated to a minor snubbing to tastefully reduce the overhang out back. That meant a new hump had to be built and the OEM taillight was relocated with a custom bracket. The original seat pan needed some fettling but mates up perfectly and can still be released with the stock lock and key. Honda CB1000R Glemseck sprint bike Every year, the bikes built to run the 1/8th-mile at Glemseck get better and better. This time around, Honda has plans to run a couple of factory-backed experiments. 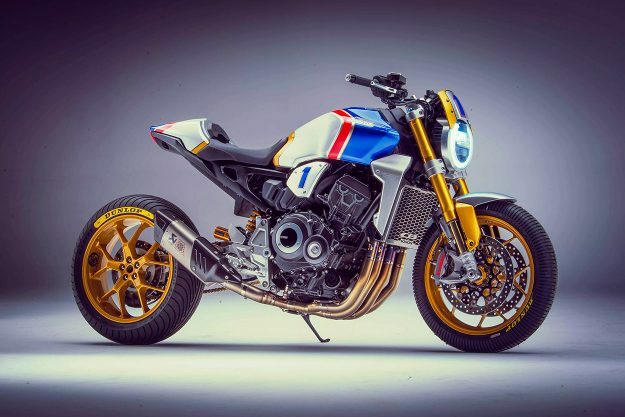 The pick of the litter is this custom CB1000R, which will be piloted by none other than Mick Doohan. 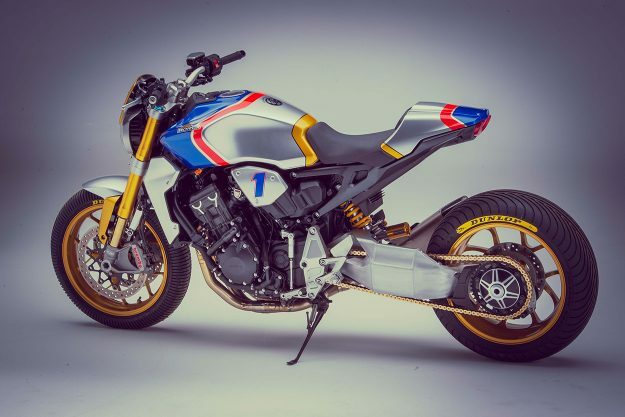 Pulling from their parts bin, Honda Europe was able to pluck a full set of Öhlins suspenders from a Fireblade SP to keep Mick pointed in a straight line. To ensure that line isn’t directed to the stars, a custom single-sided swingarm was fabricated to add some length to the back end. 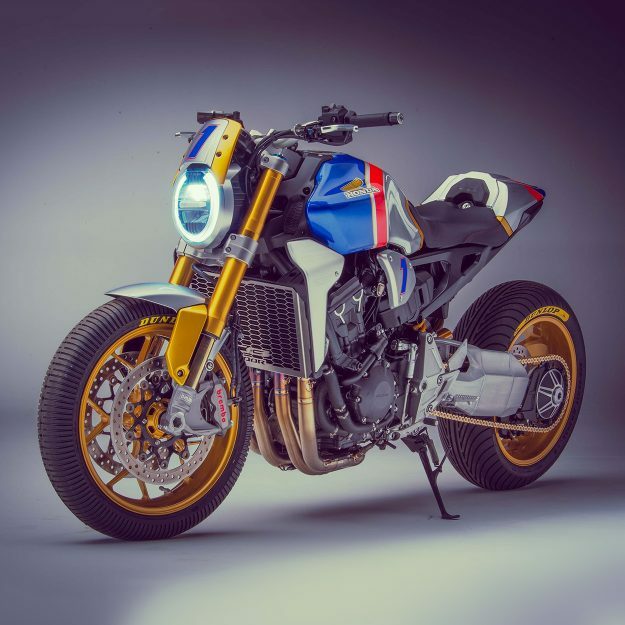 Braking has been upgraded to bigger Brembo bits, and the exhaust is a lighter, louder, 4-into-1 unit from Akrapovič.